A 4.30 am start to arrive in good time and set up in advance of the dawn. 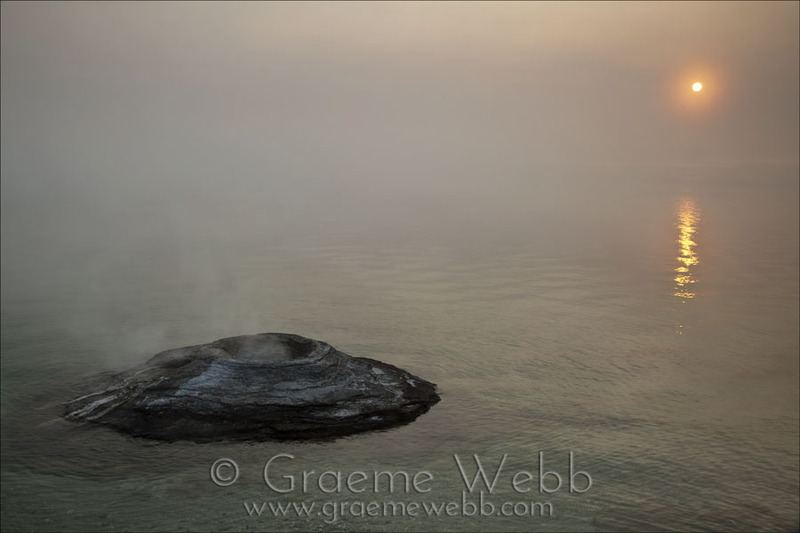 The 'Fishing Cone' is a small geyser in Lake Yellowstone. A wildfire had started the day before about 2 miles from here and had closed a large area of the park off. The mistiness in the shot is actually a mixture of mist from the lake and smoke from the fire. As the sun came up, it formed it's signature upsidedown exclamation mark. An ethereal image created by nature.